Songwriter and multi-instrumentalist Joseph Huber started out as one of the founding members of the formidable .357 String Band from Milwaukee, WI from which three stellar albums emanated between 2006 and 2010 before foundering under the weight of its own talent and forming the basis of three very earworthy solo projects from its respective members. Huber was known for his breakneck banjo and as one of the primary songwriters for the project, but when he went the solo route, suddenly his deftness as a composer shined through with such blinding insight and poetry, he abruptly elevated himself from a superstar picker with some cool songs to something worthy of great acclaim. Joseph’s first solo record Bury Me Where I Fall was rough-hewn and hazy, but had a dark, poetic genius woven through its tracks that spoke to the mastery of songcraft Huber possesses. His second release Tongues of Fire was a lot more refined and hopeful, and showed the breadth of styles and themes that Joseph could paint in while winning him a wider audience. Joesph’s third album The Hanging Road offered through Muddy Roots Records on April 29th promises to be his most ambitious release yet, heavy with musical mastery and weighty themes, bred from the fiddle that Joseph Huber has shown favor to recently. The now married Huber who also spends his time as a woodworker in Milwaukee is one of those country roots gems with potent tunes that impact the open heart with such resonance and penetration, it remains with the listener much after the music stops. 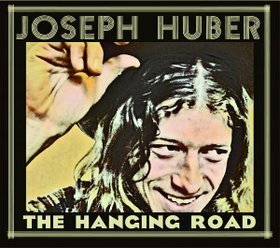 The Hanging Road is an exposition of Huber’s multi-talented musical skill set, engaging and vibrant, yet humble and rootsy as he takes his country, folk, bluegrass and blues influences into heavy account. The Hanging Road is offered for an exclusive first listen ahead of its April 29th release below. Not much better than Joe in my book. Sounds like a great release. I have been patiently waiting since tongues of fire. Glad to see him continue to achieve high success since moving on from .357. This just may be the best thing I have heard all year, at least in the country music realm. I had some songs from “Tongues of Fire” in my wedding last year and “Downtime” from his first album is the song I play every time I have a layover or a flight delay. Love this guy, and I still play old .357 songs daily. I encourage anyone to buy this dude’s albums. First heard him at the Riverwest Publice House. Bought Tongues of Fire. He is a very talented musician and song writer. I’m so glad to know him and his wonderful music. Never heard his solo stuff before, gonna have to give this a try. Love the multi-instrumentation. Thanks for the review Trig. .357 was great, but dare I say Huber’s solo records are better. This album is great! Joe is one hell of a song writer and a great guy! This is just great music!! So I’m at this Milwaukee bar a few months ago – maybe 15 people there – and this one guy is playing an absolutely smoking set sitting on a bass drum and picking some of the most contagious and addicting and heavy banjo I’ve ever heard. One of the people in barely-populated crowd was someone who looked awfully familiar who I now realize was Joe Huber. I also realized about a half hour into the set that McDougal was the one man show that was blowing the few of us there away. Needless to say there was an awful lot of talent in that little bar. I’ll buy this. I just start listening to this guy and it turns out he’s based in my city but is touring away from WI for quite a while. Of course that’s the way it goes. Hopefully I’ll be able to catch him back in Milwaukee sometime. Love his style and music. Hoping we get a full review of this one soon! Another one I’d like to see is Derek Dunn’s Poisonous Serpents–I didn’t know this one was out, I just stumbled upon it on another site (released in February). Still planning to review this, just trying to focus on artists whose recent albums haven’t received any coverage at all. So much music, so little time.